In organisations of this size IT starts to get quite complicated, often running multiple systems in multiple locations, potentially 30 or 40 different functions in NHS Trusts or local authorities. This introduces complexity that can be difficult to manage. When thinking about cloud, an ideal situation for most organisations is to have a bunch of SaaS services integrated together. We’re not quite there yet, but eventually this will be what will happen. So these organisations are looking for interim solutions. Our customers are predominately Microsoft customers, so most naturally gravitate towards Azure and Office 365 initially, however, interest is growing in AWS and Google cloud which looks very good for analytics and containers. 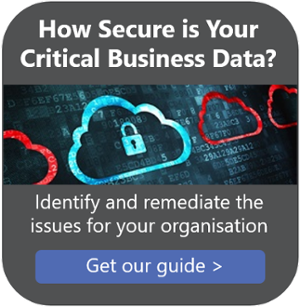 The trouble for many organisations, is they can't easily get to cloud because they've got legacy applications which can be tough to move. This where Fordway assists. These legacy applications are often crucially important and because they are actually keeping the lights on, and running the business it's difficult to shift them. It is a specialist task re-engineering and re-platforming these applications and that is what we do. Many IT business leaders are also paralysed by choice. There’s too much choice: What should I be doing and why? Do I go to AWS? Do I go to Azure? How do I do it? In a lot of cases quite a lot of our customers are confused by competing claims. They desperately want to make the right decision for the business, because it’s crucial that they get it right or get a good enough answer. We help analyse their environments and provide options analysis to help crystallize what is needed and clarify what their options are. The truth is that there are no one-size-fits-all solutions. Every particular application has its own circumstances from a different context and history and so a particular cloud solution or one particular public cloud vendor, may not always be the right answer. It's a matter of selecting the best fit for the business and that is likely to mean a hybrid cloud solution. We’re about making it all work together and handling that complexity.